We only received a hint of the drama between Gibbs and Tony in the premiere show of this season. 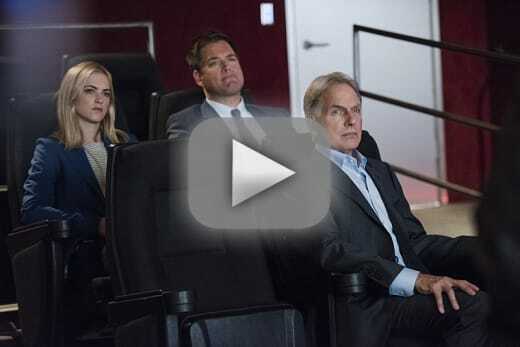 On NCIS Season 13 Episode 2 that tension got ratcheted up tremendously. Particularly with Tony trying (in vain) to protect Gibbs from himself, while Gibbs had another bone to pick with his protégé. Let's see if we can tear it down. Gibbs is irritated at Tony, and wants him to keep his head in the game; he wants him just to do his job and nothing more. Leave the psychoanalysis out of it. It's for that reason he sidelined him. Ducky observed that Gibbs has a new outlook, and that he needs to cut Tony some slack. Gibbs disagrees: then there's the work, Duck. It's got to be done. Gotta respect that too. Gibbs wants Tony to step up and lead. He revisited Tony's decision years ago when he had a shot at being a team leader. It's still very murky inside Gibbs' head, however. Or at least it is to everyone other than Gibbs. The man himself seems focused and aware, while the rest (excluding Ducky) are trying to figure it out. Tony's certainly working away at it, though throughout this story he was completely linear. Gibbs is more complicated than that: you think you know everything, DiNozzo. You don't. Honestly, who cares? Yet it seems important to the team, who are used to the continuity of their boss' style. He used to be dependable, and to a large degree, predictable. Maybe he's not anymore. That's what so neat about the writing in this series right now: nothing seems as straightforward as it could be. There are subtleties being injected into the storyline; variations that presume an intelligent audience. We have to work it out for ourselves. Ducky: This isn't about NIS Agent Mitchell's son at all, is it? It's about Anthony. Jethro when I had my heart attack on that beach, it changed me. I had to adopt a whole new perspective. I began to see life differently and it really concerned me. Perhaps this new-found view of yours is accurate. But you must respect that others may need time to see it as you do, even Anthony. Gibbs: Yeah, and then's the work, Duck. It's got to get done. Gotta respect that too. Permalink: Yeah, and then's the work, Duck. It's got to get done. Gotta respect that too. Precisely what is about Anthony? We're going to learn more as the season progresses. We can count on that at least. There's a guess that maybe Gibbs is grooming Tony to take over the team. Yet this flies in the face of his subconscious from NCIS Season 13 Episode 1 when his daughter tells him that there are too many people counting on him. And that bad people are still out there. If you don't stop them, who will? Then there's the other hint about Gibbs' mindset, when he told Dr. Taft that he can't do it alone. Maybe this means he wants to restart his social life. It's fun just being on this ride. The case of the week served as a catalyst for all of this. The death of Gibbs' wife and daughter came back into play as the son of the person protecting them sought Gibbs' assistance in hunting down Hernandez' boss Benson Long. Pedro Hernandez was the guy who caused the death of Gibbs' wife and daughter when he shot their driver, Kurt Mitchell, as he was driving them to a safe house. Gibbs later assassinated him. Tony can be forgiven for leaping to the conclusion that Gibbs and Mitchell were now conspiring to assassinate Benson Long, as well. I expected Gibbs to react with rage to that accusation, and was surprised when he didn't. There were two other surprising (and welcome) moments. The first was Tony's outburst to McGee: I'm done taking orders. Are you coming? This is the leader Gibbs is looking for. A man of initiative who makes decisions irrespective of the chain of command, when it's in the team's (or case's) interest. How many times has Gibbs done this to Vance? Notice how he didn't ask McGee to join him. He expected him to. And McGee jumped. The second surprise was Tony laying hands on Gibbs in that private conversation prior to Gibbs heading over to confront Mitchell. Again, that's a leader in the making, but it's also indicative of the tremendous love he has for his boss. In fact, throughout the episode Tony's care has been on open display, much to Gibbs' annoyance. Gibbs wants Tony to care about the team. He seems to have a blind spot, though: Tony does care for the team; it's just that the team includes Gibbs, too. It's not often that Gibbs offers encouragement to anyone on his team, except for Abby (who he sees as a kind of daughter). His words of support to McGee after he shot Evans were startling. McGee certainly is an insecure mess, isn't he? Somehow it's hard to picture him ever being a leader of anything. He might be a nice guy and a good agent with good instincts, but that's it. Abby hurt her fingers on her disco ball? I almost hate to ask but: what next? Tony never answered Gibbs question: do you want to be a leader, or not? The song playing at the end was "If I Can't Take You With Me" by Heather Stewart. Be sure to watch the show next week when McGee and Bishop go undercover as a married couple on NCIS Season 13 Episode 3. 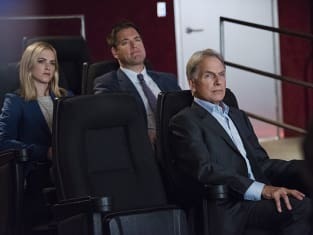 Remember, you can always see this episode again when you watch NCIS online. McGee: Where are you going? Tony: I'm done taking orders. Are you coming? Permalink: I'm done taking orders. Are you coming? Gibbs: Where are you, DiNozzo? Tony: What do you mean? I'm right here, where I always am. Gibbs: Well then let me ask you something. Is that what you want? Tony: Do I want to be here? Yeah. I wouldn't be, if it wasn't what I wanted. Gibbs: Years ago you had a shot at your own team. You turned it down. Tony: Yeah that was my decision. Gibbs: You want to be a leader, or not? Tony: You mean do I want to be you? Gibbs: The day I joined all I had was a reason. Things change. Reason stays the same. It's always with me. Never leaves. Gibbs: Either you got a reason or you don't. Permalink: Either you got a reason or you don't.